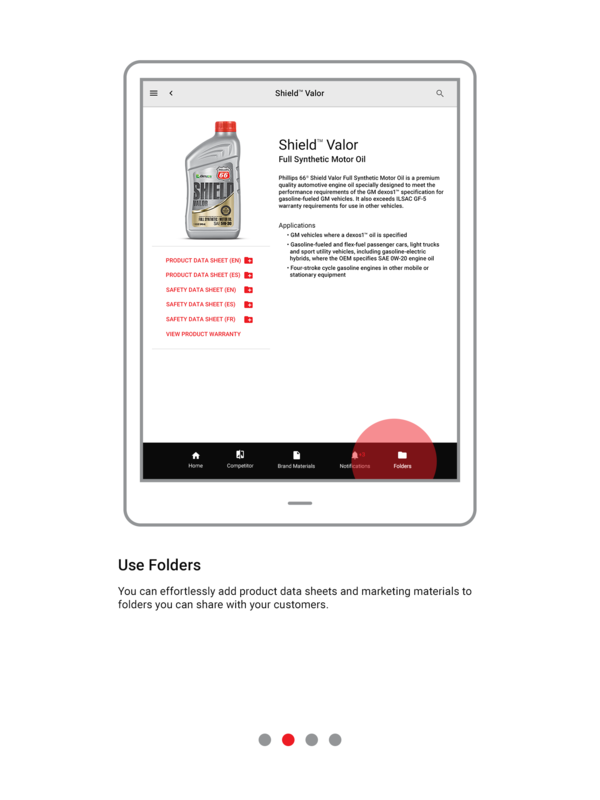 Phillips 66 Lubricants Sales and Marketing App: "Source"
Write down products the customer wants to know more about. Run out to the car. Open the trunk. Print product information from trunk printer. Hustle back into customer’s office to hand them the paperwork. 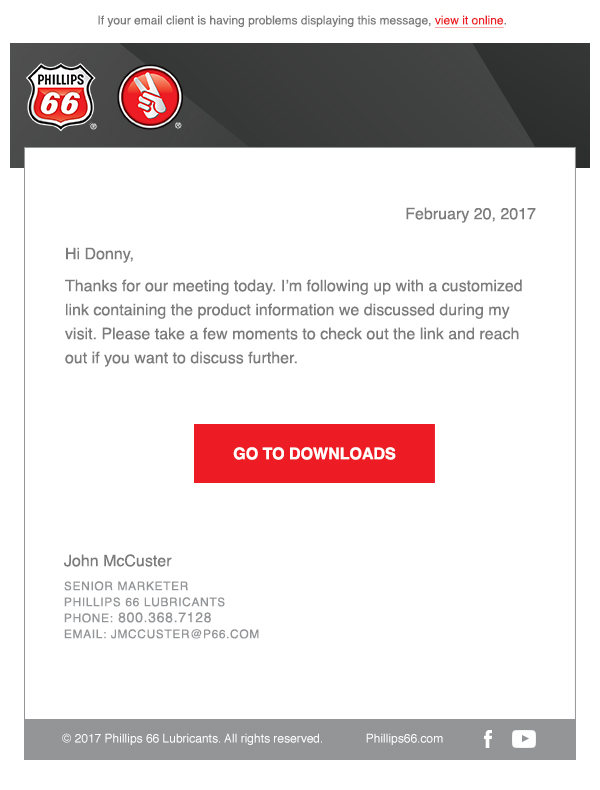 We found out this was exactly what a sales visit looked like for a marketer that sold Phillips 66 Lubricants product. 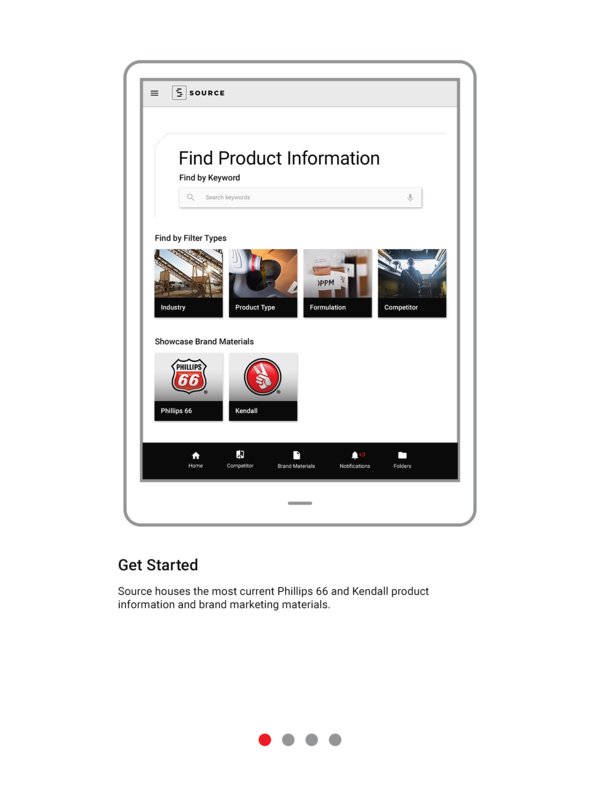 Upon discovering that information, we pitched the idea for an app that would centralize product information, modernize the sales visit experience and push the brand towards becoming an innovator in their category. Rather than having information in the trunk of his car, the marketer now has it in the palm of his hand. 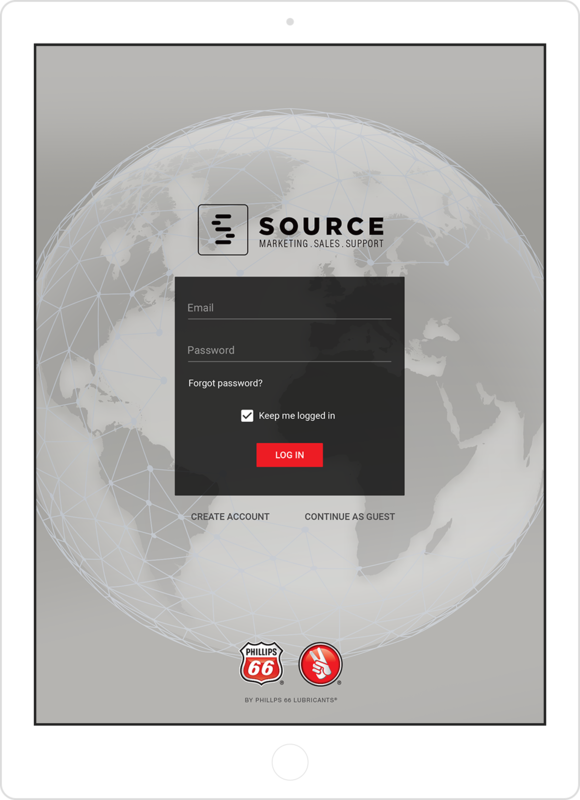 The tablet-centric app, Source, is an internal sales tool for Phillips 66 marketers. I also like to think it might revolutionize the way they conduct their business. We conducted stakeholder interviews and user research based on an early prototype. 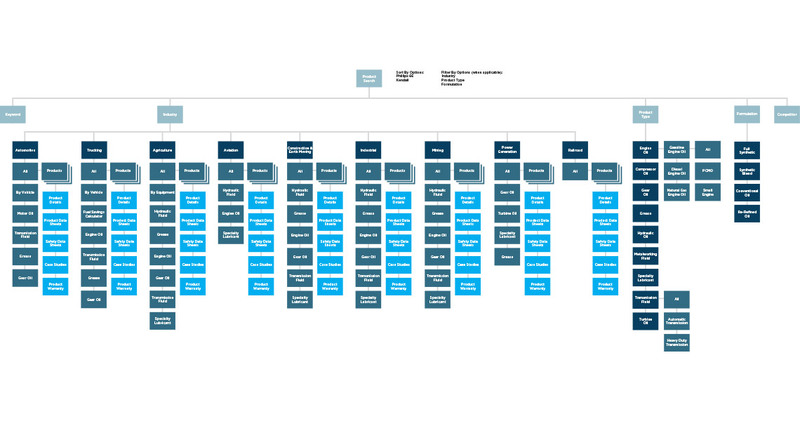 After using the findings to establish user goals, we dove into UX with a set of screen flows as seen below. 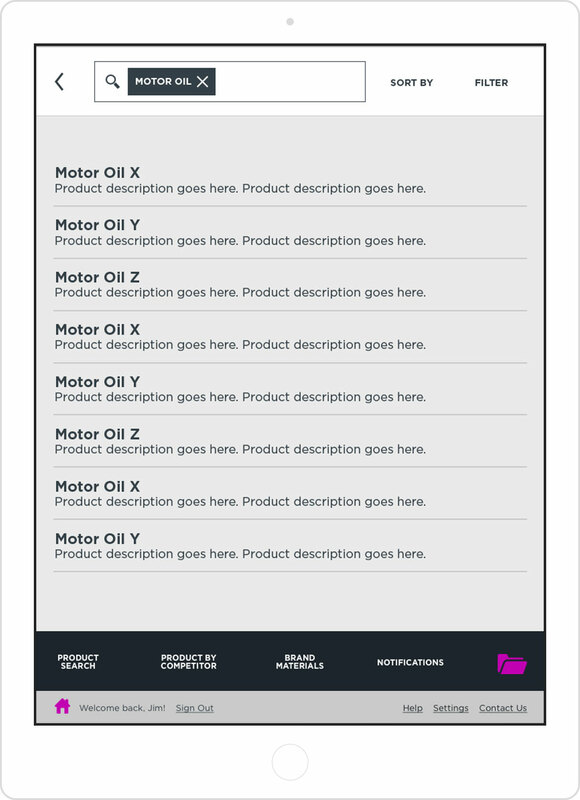 With the screen flows and user research guiding the way, I developed the wireframes for the app. 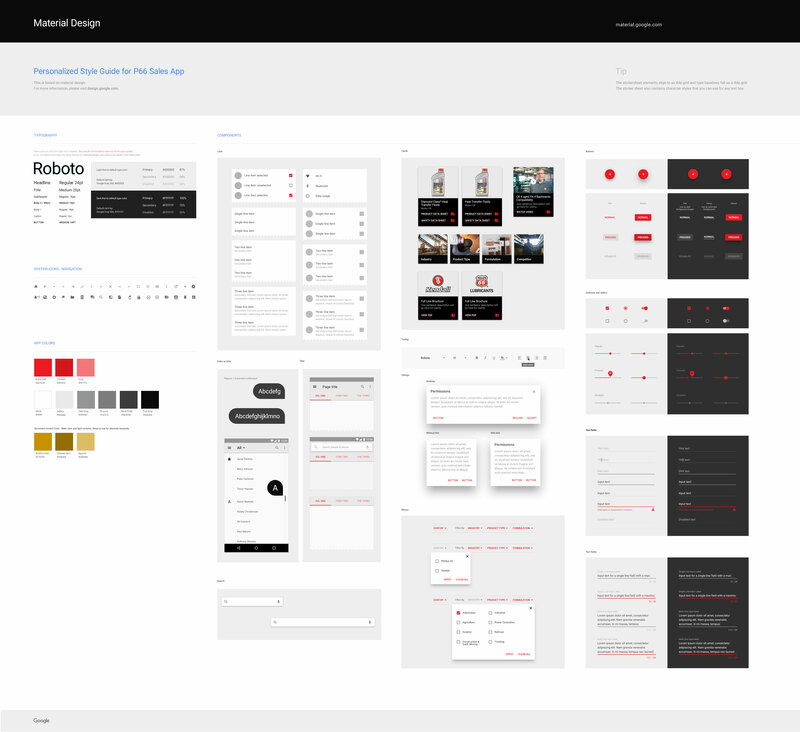 I used InVision to create an interactive prototype of the wireframes. Based on insights from our client, we realized our users might need extra guidance adopting the app. 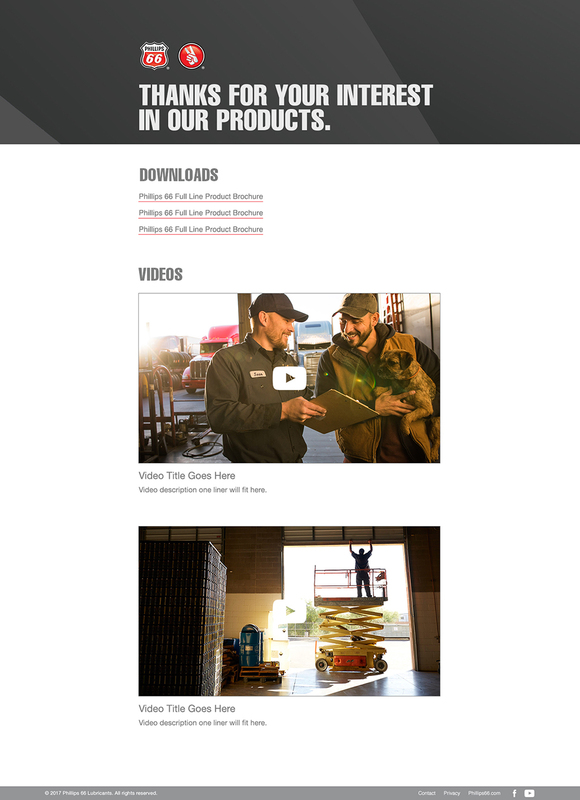 Thus, we gave extra attention to a simple, yet thorough, on-boarding process. First-time users see this simple walk-through when initally opening the app. 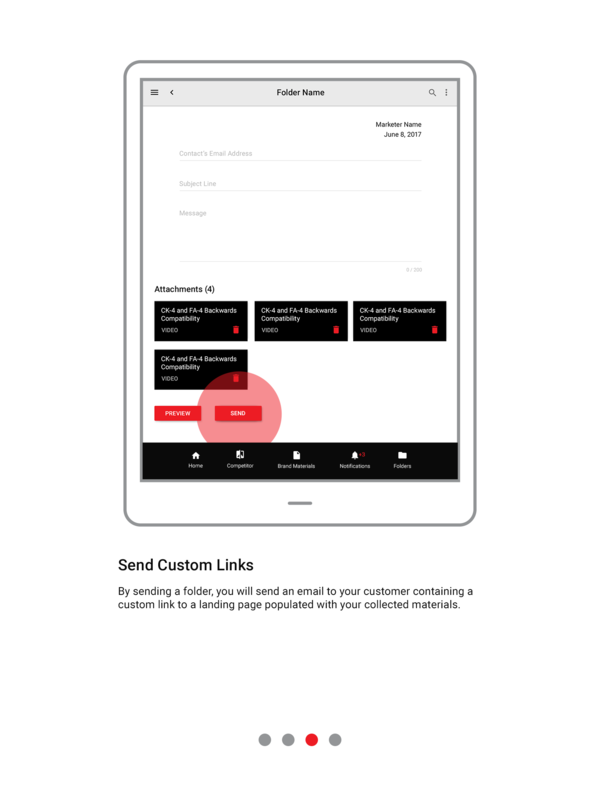 The app allows a user to quickly send an email to his customer. 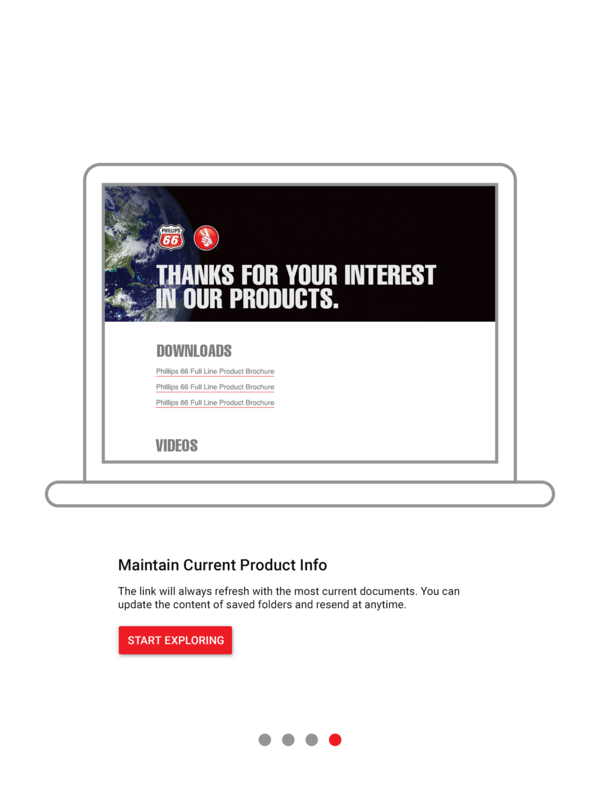 This email contains a link to a customized URL that houses the product information discussed during the sales visit—just a minor improvement over print-outs from a trunk. 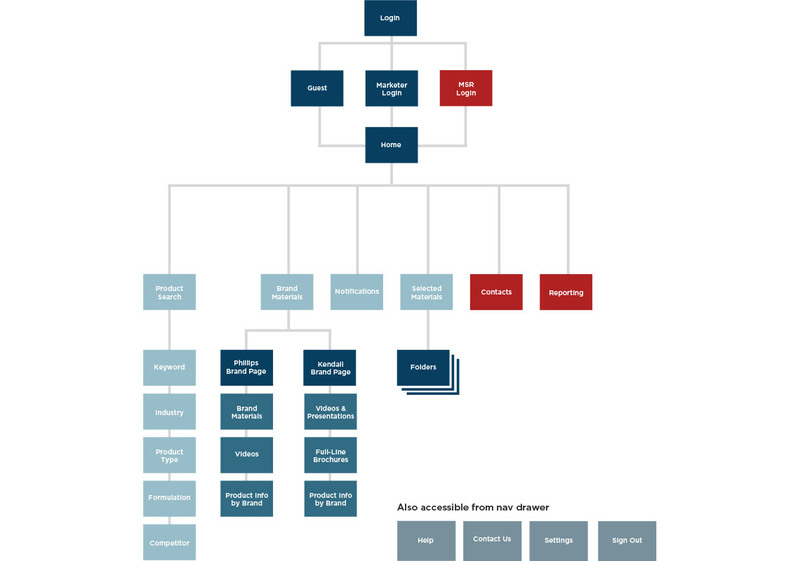 I based the design of the app on Google Material standards and delivered this customized style guide to our developers. Making this choice at the start of the project allowed us to deliver a high-quality product with faster design and dev times. The initial version of the app launched the first week of February 2017. There is a plan in place to track: Users, Session Length, Session Interval, Time in App, Acquisition, Screen Flow, Materials Usage. 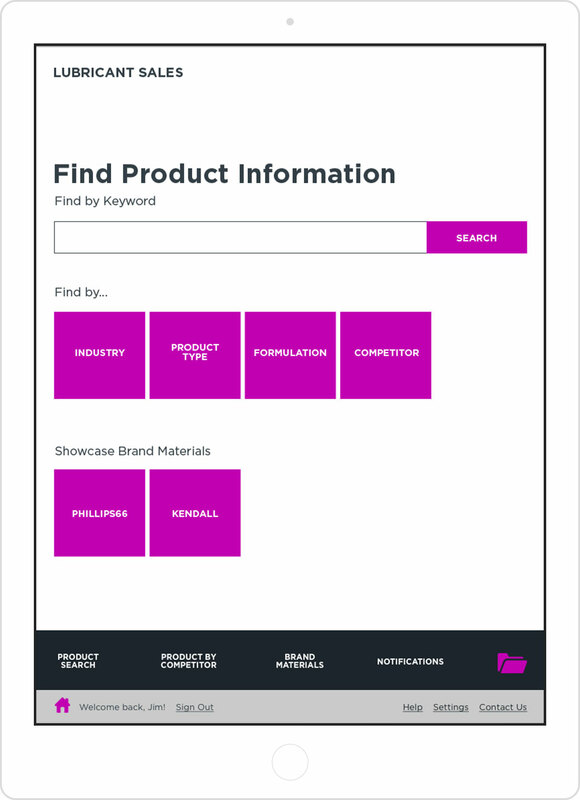 Inviting marketers to test the actual product will allow for user feedback to be implemented in new iterations of the app. In time, we hope to use these analytics to prove app effectiveness over previous sales methods.